On Saturday 14th, Qormi Under 13 team made the season debut. 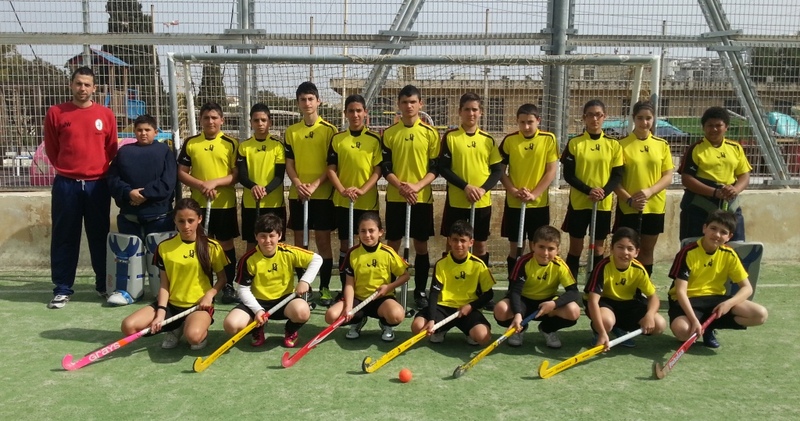 The team coached by Keith Calleja face the only current opponent in the category, and last season Under 12 winners, Sliema Hotsticks. After the changes in the categories done by the association Calleja went down to the match with many new talent, however with very few competitive experience. The Qomi players stood up and gave a very positive performance. While the Sliema team is based on one player, with he team turning around him, Qormi team played a match that all the team looked for good passes and moving without the ball. In fact Jeremy Borg from the back line played the ball upfront to the forward line and on many occasions managed to get the Qomi players in the opponents Dee. Qormi began with Aquilina between poles. Jeremy Borg began as central defender while Nicole Zammit, Kyrone Busuttil, Jacob Galea and Luke Bajada played in a line four attack. during the match Justine Pace Gasan made her hockey debut upfront. Anastacia Chircop, Criag Mifsud and Nigel Borg all came in and played an important part in the match. In the 1st half, although very balanced Sliema managed to open the score. Qormi lost 2 very good chances, with Borg short corner saved on the line and Bajada putting wide after beating the keeper. In the 2nd half Sliema managed to double the score. However the Qormi kids did not give up although being 2 goals down. In fact J.Borg scored a short corner that grabbed one down. A few minutes later J.Borg was again the protagonist with a run from the middle and flicked the ball over the keeper. In the last seconds an action from the left brought the team on a 2 v1 action with the umpire whistling the final of the match o everyone surprise. The under 13 players all made a very good match and with some more positive attitude they can challenge for the year national title. 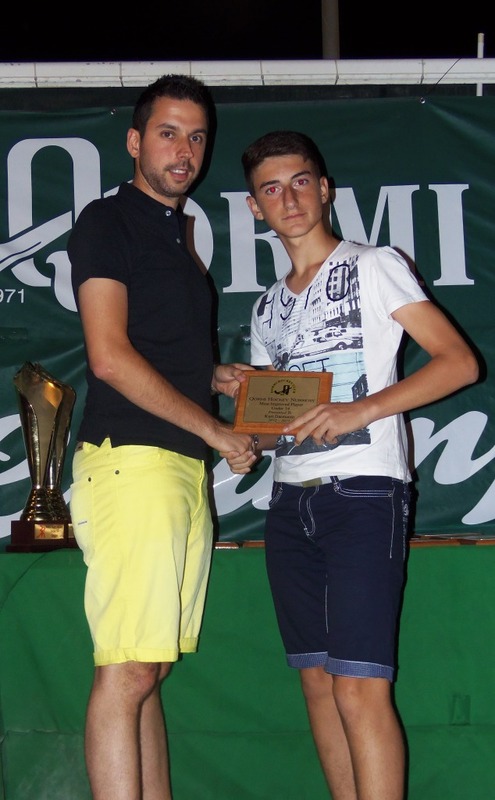 On Saturday 29th July Qormi Hockey Nursery organized its Annual Presentation. As like other years, a bbq was organized for this occasion. For the 1st time Qormi Hockey Nursery had also included the Presentation of the 1st In-House Festival which was organized by the Nursery for all Qormi Hockey Club members and friends. This was done thanks to the support of Qormi Local Council. Before the B.b.q. began, the Qormi Local Council Major presented the trophy of the In-house Festival to the winning team, Sticks & Balls. After the B.b.q. 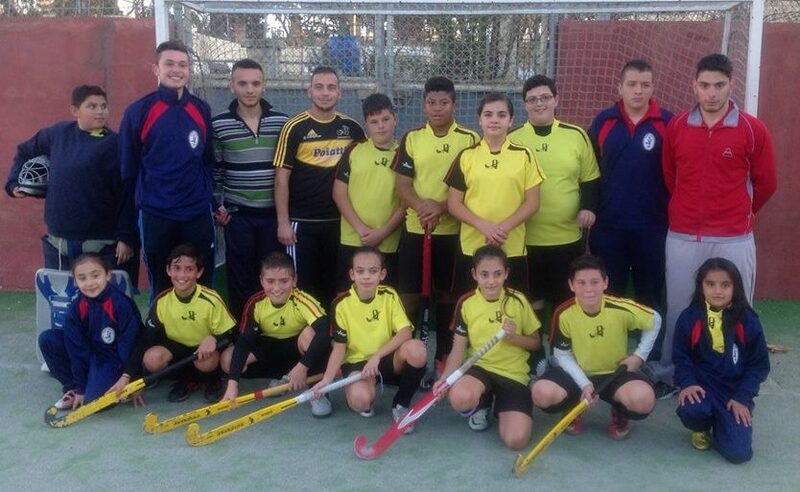 the Qormi Hockey Nursery made its traditional presentation. Honors vary from the Beginners, Under 10, Under 12, Under 14, Under 16, Under 17 special award and the girls category. However the most prestigious honor being the Junior Club Award that is awarded to the Nursery member that made an extra effort to support the nursery. This is the 8th year that this honor was awarded. Past juniors that has been awarded this honor where Keith Calleja, Juan Sarcia (twice), Zack DeGiovanni, Thomas DeGiovanni, Isaac Mansueto and Kyle MIcallef. This year this honor was awarded to Keith Bajada. During this season Keith supported several times the Under 10 and Under 12 coach during sessions and also coached a couple of very young kids in the early Saturday sessions. Well done Keith. Also a great thanks should go to all those that participated and especially to John Williams for the great organization done before and during the activity. On Wednesday 10th July, a Qormi selection faced in a double encounter the English side of Kings Bruton. For this selection Ghio and Wiliams had keeper Jeremy Farrugia, Thomas DeGiovanni and Luke Brincat all missing. However Qormi managed to field a very competitive team against both sides. In the 1st encounter Qormi 18s faced the best side of Kings Bruton. This team showed great skill and played very beautiful Hockey. Qormi began with Shamison Mifsud between poles. At the back Sarcia and Sammut took the central roles while rookies Darmanin and Deguara played on the sides. In Midfield, skipper Zak DeGiovanni took the mid position with Calleja and Grixti completing the midfield. Upfront Qormi began with Bonello, Said and Micallef. In the 2nd match Qormi faced a much different opposition. Qormi coachestook advantage from this situation and a much younger side was used. However the Burtons team surprised everyone and in the 2nd half took the advantage with a counter attack. The Qormi youngsters however did not panic. Goals from Mansueto, and a double from DeGiovanni turned over the result in Qormi favor for another 3-1 result. 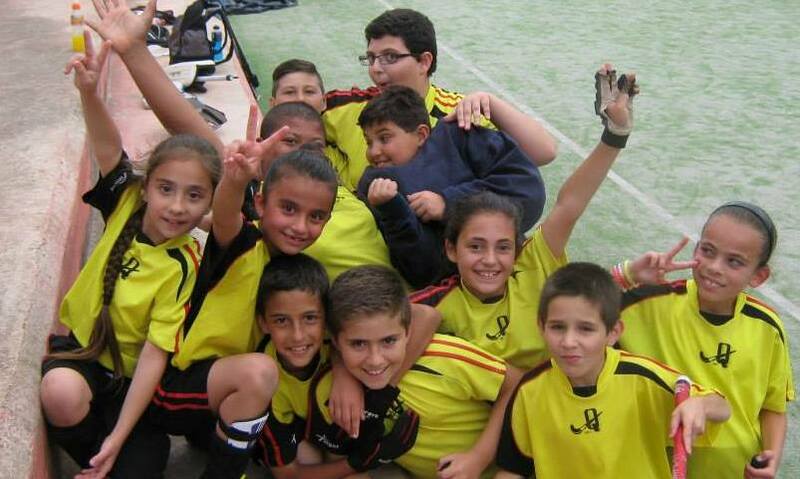 Qormi Under 12s finished their season in the 4th National festival that took place in Floriana. Qormi needed to win the festival to be still in a position to finish top in the overall standings. However the very young Qormi team did not manage to win the festival and finished in 2nd place in the festival and also in the overall standings. This was the 1st time that in seven years that Qormi did not win this category. However this season, with a very young a new team it was clear that the Nursery intentions has been to work more on the introduction of new players in the Qormi setup. Under 12s coach, also in his 1st experience, began the festival against Stelmar team. The Stelmar team decided to try to total defend the game and did not try to get out of the are. The Qormi kids found it difficult to penetrate the congested Stelmar dee. However it was 10 year old Bajada that managed to do the difference and scored the all important goal. In the 2nd match against the very young home team, Floriana, Calleja opted to play with a more inexperienced team. This brought an easy win thanks to a hat trick from Nicole Zammit. For the last and decisive match Calleja tried to play a more conservative game. However it was thanks to 10 year old keeper Kyle Aquilina that the Qormi team kept himself in the game. The keeper managed to save a stroke and several other open chances. Still at the end Sliema managed to score the well deserved goal and win the festival. This season, Qormi Under 12s managed to introduce several new players that should be the backbone of the years to come. Well done to all the Under 12s players. Qormi Under 14 Champions for the 7th Consecutive year!!! Qormi Hockey Nursery kept on showing the superiority on National level as managed to keep the Under 14 Champions title for an incredible 7 years. Another incredible feet is that Qormi Under 14s have not lost a match since 18th April 2009!!! More then 4 years ago. From that day Qormi Under 14s won all matches except 1 draw. This clearly shows the superiority t this age level, with the players generally can play only for 2 years in this category, unless they begin to play of a younger age. With the competition already won in the last encounter against Floriana, Williams opted a more open minded game. In fact Qormi went on the attack from the 1st minutes. On the day also the players where more in a festive mood rather then in a competitive one. However Williams used some of the future players to give them more experience. In fact it was 2 goals from Under 10 player Luke Bajada that opened and doubled the score. Sliema reacted and managed to draw the match. However goals from Keith Bajada and Karl Gatt gave a 4-3 victory to the Under 14s. Well Done to the boys and girls!!!!!! On Saturday 4th May, Qormi Under 12s took part in the 3rd National festival. For the 1st match Qormi faced a very young Floriana squad and won easily 5-0 (Scorers J.Galea 2, L.Brincat 2, J.Borg). In this match Calleja opted to use the experienced players together with the newcomers, so they begin to get some experience of competitive matches. In the 2nd match Qormi faced Sliema. Till date Sliema has won the 2 festivals organized, with Qormi standing on runners up spot. However, this time Qormi showed great improvement and with the introduction of Mifsud at the back together with one of the Borg players gave a very stable defense. Up front Galea together with Bajada and Zammit created several chances. In fact it was Bajada that opened the score on an action created by Galea. Few minutes later J.Borg managed to score from a short corner, getting the win on the Sliema team. In the 3rd match Qormi faced Stelmar team. This team made of relatively new players for hockey gave a good performance. However the Qormi team won 3-0 with goals from Bajada, Galea and Busuttil. In this match Calleja opted again to give some minutes to the debutants. After thia festival, Qormi Under 12s will face the 4th Festival with the chance of going top of the overall table. However although the prestige of winning honors, at this age it is much more important that we see the improvement on the kids development. Something that surely Calleja should be proud of. On Sunday 7th May, Ayrton Falzon made his 1st team seniors debut for Qormi HC. In this match the 1st team played the last game of the 2nd round against White Hart and easily won the match 5-1. Falzon is another player from the current 16s team that is playing in the seniors national league. In fact Thomas DeGiovanni and Luke Brincat has become regular 1st team players, while Kyle Micallef and Isaac Mansueto are both playing regular 1st team hockey on loan at White Hart. Another player that was close to make his debut was keeper Jeremy Farrugia. However he was an unused substitute in the 1st round match against Floriana and is still waiting to make his 1st appearence for the club senior team. Well done for the efforts of these boys and keep up the good work!!!!!! Qormi 16s team on 2nd March managed to beat Sliema and Retain the national championship for the 5th consecutive year and for the 9th time in history. Qormi needed a point from this encounter so that the 2nd placed Floriana could not reach the Qormi team in the standings. However it was very clear that Piscopo had no intention to setle for 1 point but sent the Qormi players to get the 8th win from as much matches. Piscopo began with Mifsud between poles, while placed Calleja and Mansueto in the heart of defense. On the sides Bonello and Brincat supported the midfield formed from skipper DeGiovanni and Micallef. Upfront began Said. Just 27 seconds from the initial whistle and skipper DeGiovanni opened the score. The Qormi players relaxed too much after this goal and in just the next 2 minutes the Sliema team managed to draw the result. However Qormi went upfront again with Micallef. Few minutes and it was Brincat to score the 3rd goal and literally close the story. In fact from then on Qormi easily controlled the match. In the 2nd half Farrugia went between poles while Bajada made his seasonal debut for the Under 16 in the heart of defense. With the final score 7-1 (scorers: DeGiovanni 3, Micallef 2, Falzon 1,Brincat 1) it was clear that Qormi found easy to get the point needed and crowned champions for the 5th consecutive year. An achievment that no other Nursery ever managed to do in history. On Saturday 23rs February, the Under 14 team faced Floriana Young Stars in a mtach that the Qormi team had to win so that the Qormi team keep his lead. The Under 14s managed this at ease, with the result showing the real difference between teams to a 10-0 final result. Williams had a full formation this time and went on the attack from the 1st minutes. He opted to use Under 12 keeper, Kyle Borg for the 1st time between poles. The Floriana defense managed to keep at bay the Qormi team for the 1st minutes. This was until the 12th minute when from a very good team work play Luke Bajada brought his brother Keith in front of goal and opened the score. This opened the door to the Qormi players as they managed to finish the 1st half at 6-0. In the 2nd half Williams opted to give the less experienced player more minutes and the team managed to score another 4 goals to afinal score of 10-0. Keith BAjada managed to score half of the goals (5 goals) while Karl Gatt, Shawn Dimech, Kurt Darmanini, Kurt Grixti and Jacob Galea scored one each. In fact under 12 Jacob was scoring his 1st ever goal for the Qormi club.